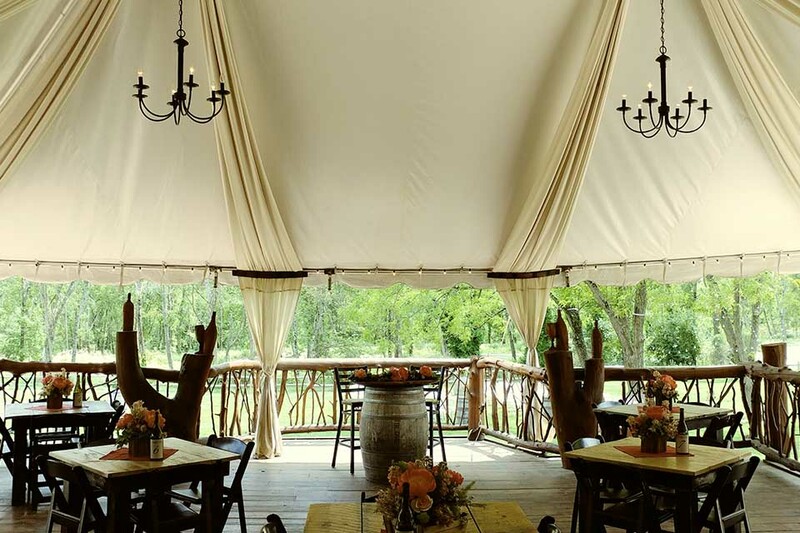 The rustic elegance of The Saratoga Winery provides the perfect backdrop for any occasion. 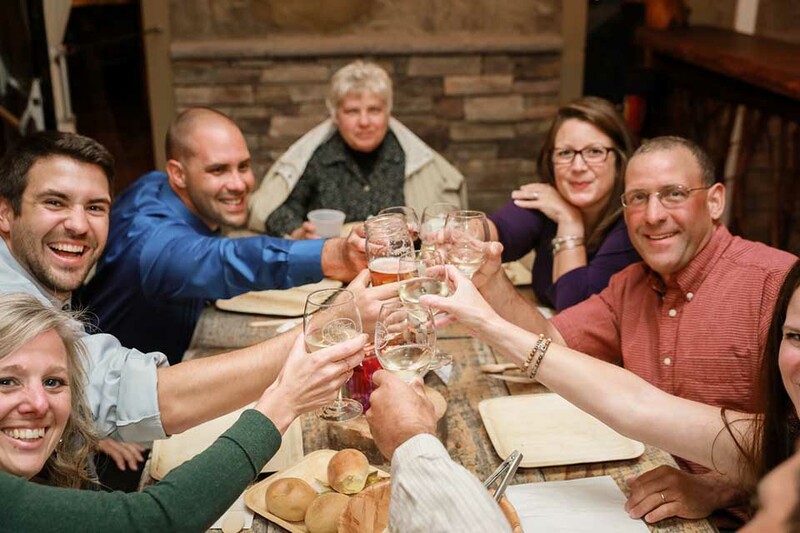 Encompassing both the casual nature of the Adirondacks and the understated sophistication of Saratoga Springs, The Saratoga Winery highlights the best of both worlds. 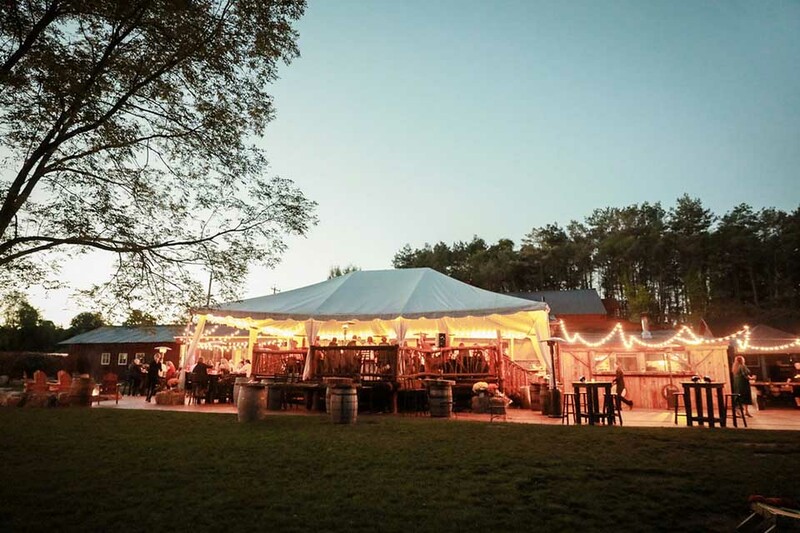 If you’re looking to celebrate your special day in a distinctive way, The Saratoga Winery is just what you are looking for. 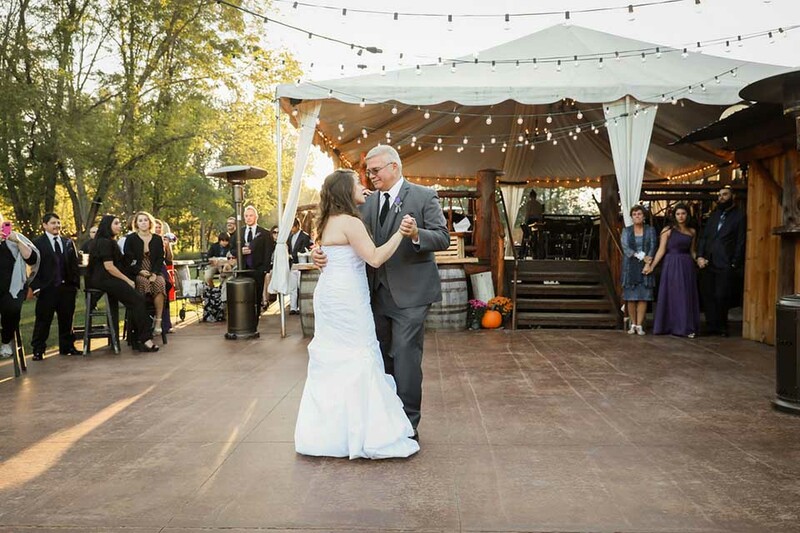 We accommodate events of all styles! Corporate, Team Building, Birthday Parties, Bridal Showers, Bachelorette/Bridal Parties, Rehearsal Dinners, Welcome Parties, etc. 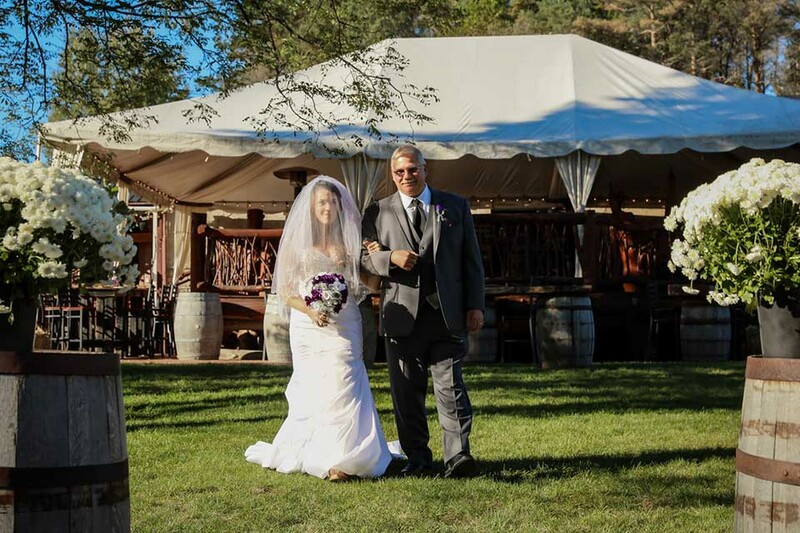 The rustic, elegant wedding of your dreams at The Saratoga Winery is just waiting for you to say YES! 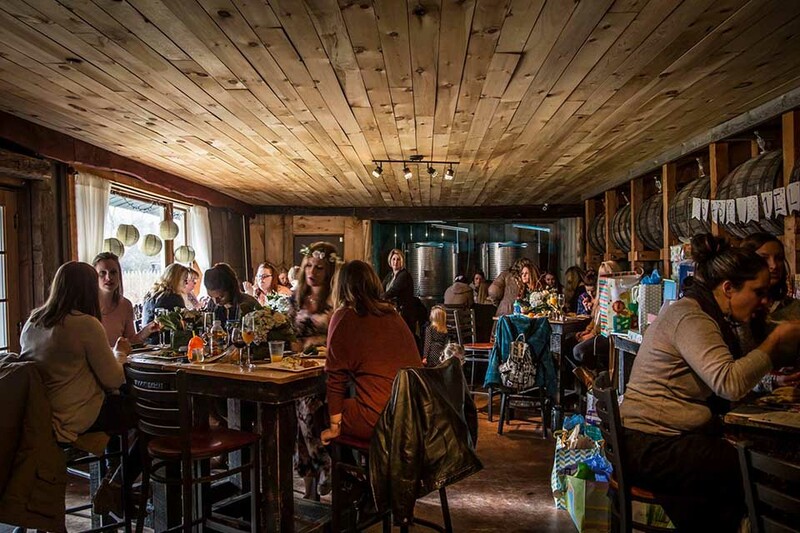 Our new barn style event building has an open floor plan, with high ceilings and natural, reclaimed wood. Wine barrels and sliding barn doors complete this relaxing yet breath-taking space. 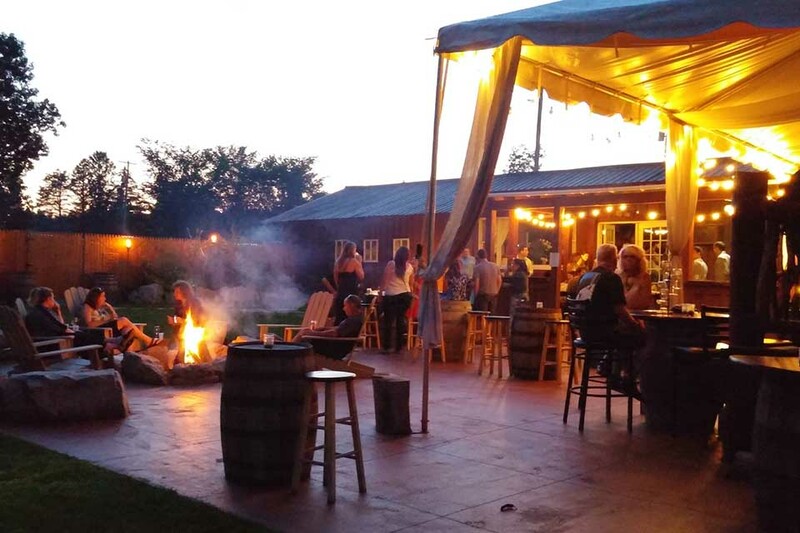 Gather with friends and family for s’mores by the fire pit as you sip our handcrafted wines, local craft beers or spirits. 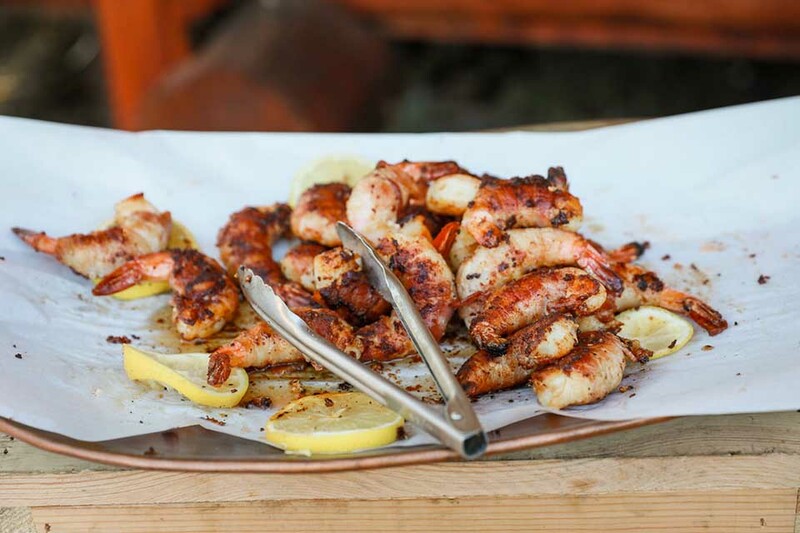 Our Chef is ready to personalize your reception with a custom wedding menu. 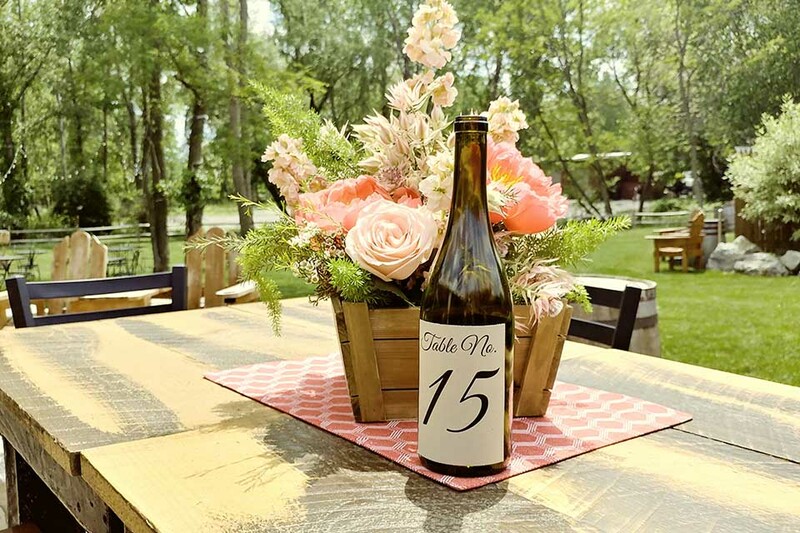 Your options are endless in making your wedding one of a kind at The Saratoga Winery. Contact our event coordinator, Amy, today for more information. 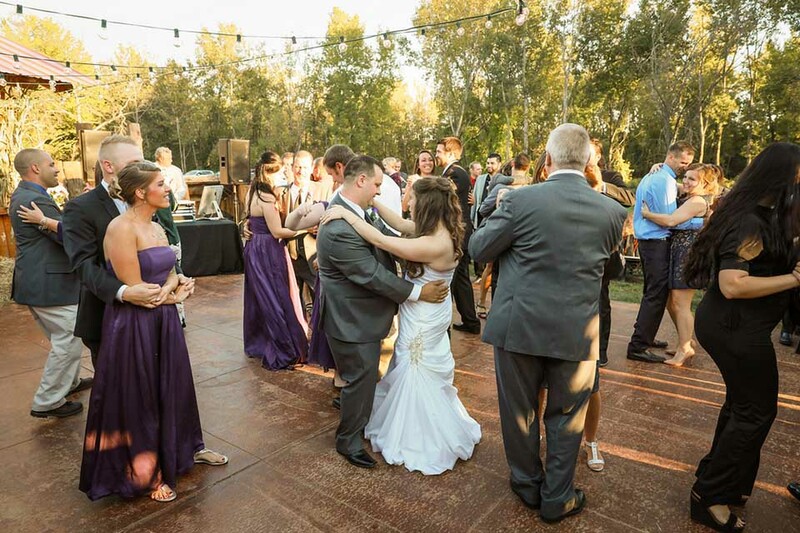 Let’s start planning an occasion that you and your guests will not soon forget! 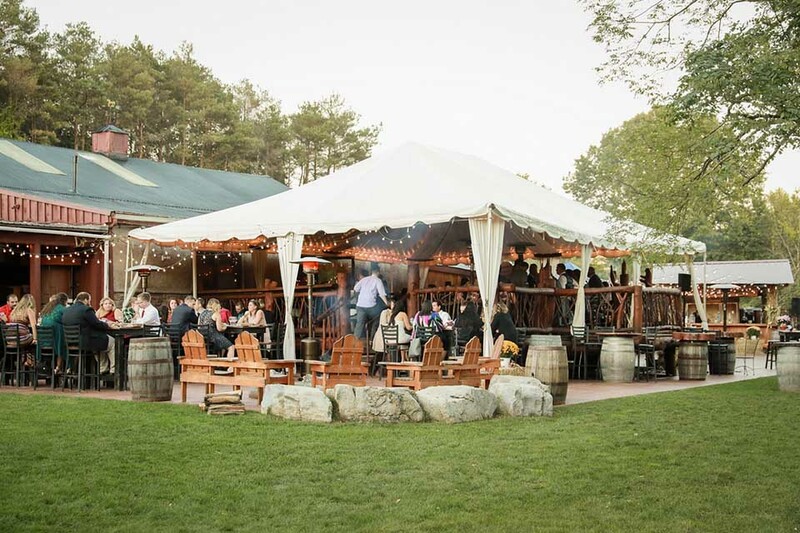 Exclusive use of the new barn style Event Building and Barrel Room. 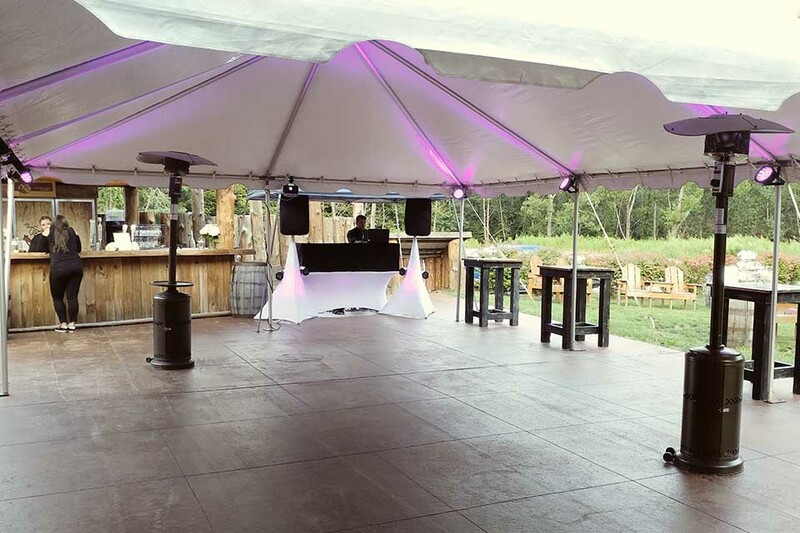 Areas include: Event Building, Barrel Room, Outside Patio, Lawn, Indoor Restrooms, Bar and Coat Closet. Reception seating to accommodate 125 guests. 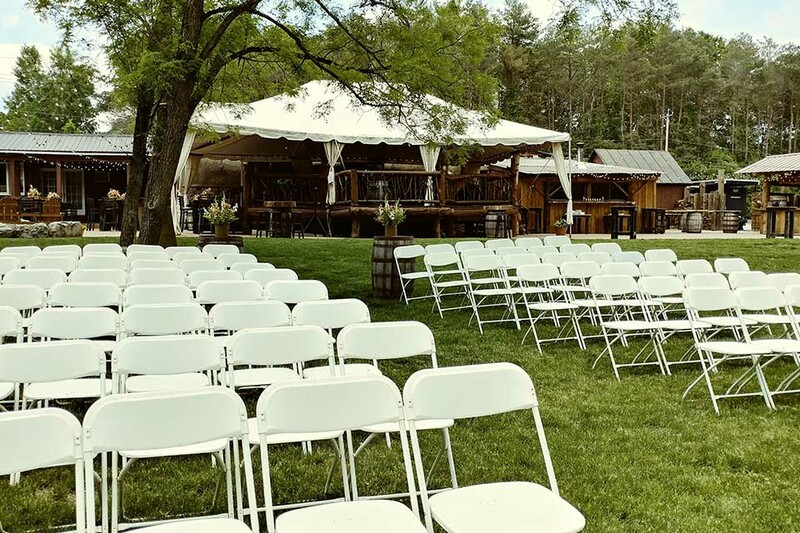 More seating can be added to accommodate larger weddings. 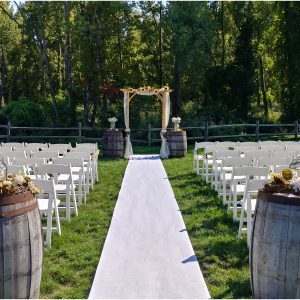 Ceremony seating is an additional fee. Custom farm top tables and padded chairs. 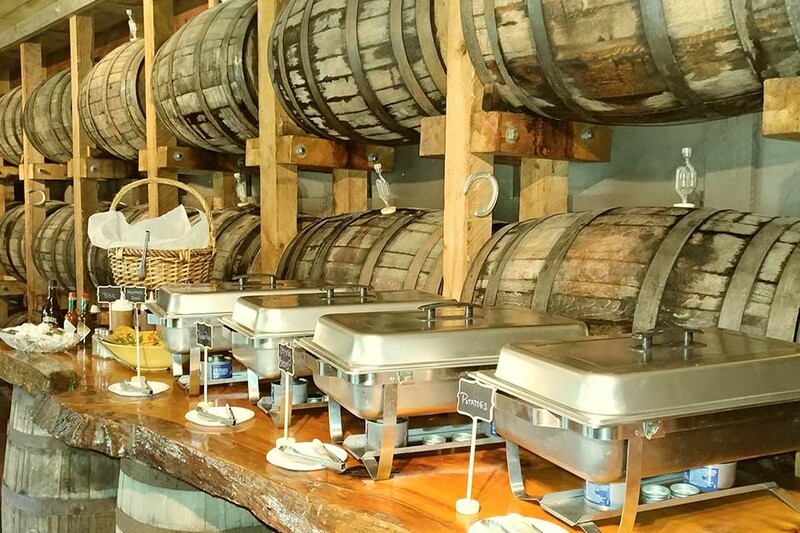 Rustic décor with natural wood, wine barrels, lighting, etc. 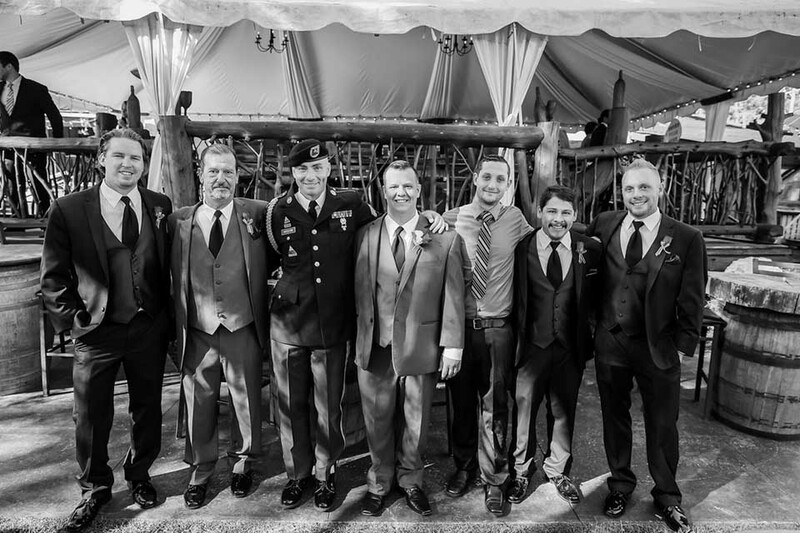 Our in-house Event Coordinator service. Full cleaning before and after event, including garbage removal. 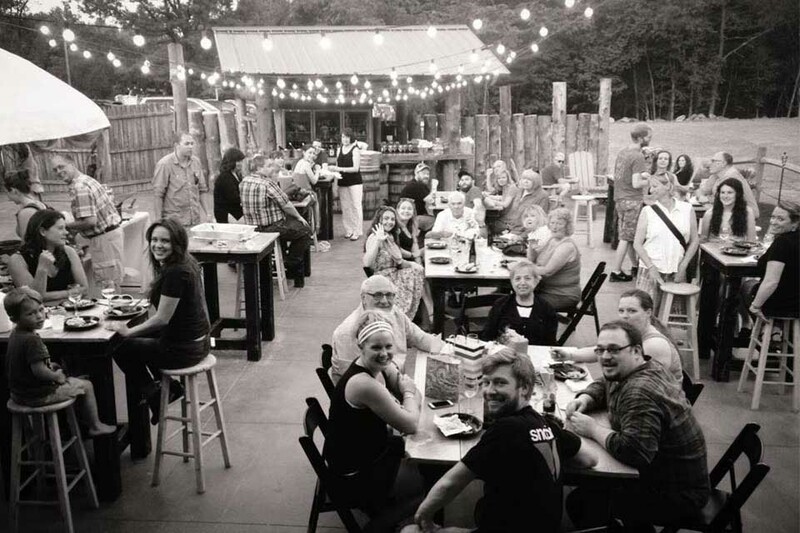 Please note there is a room/venue rental fee for all private events. Inquire for our packages and pricing! Use submission form at the bottom of the page. 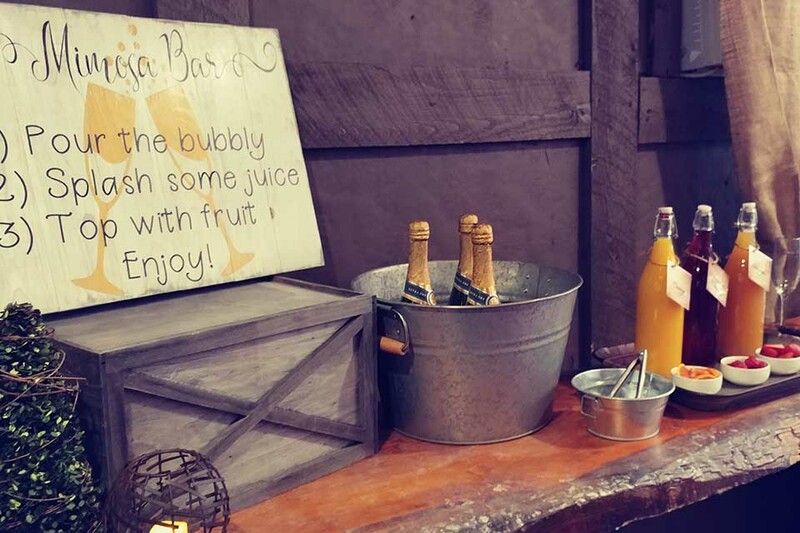 Get in touch for more information and to begin planning an occasion that you and your guests will not soon forget!